Did you, like us, get bit by the Pokemon Go bug last year but felt that it lacked a certain lochal flavour? Then you’re in luck: a new app called Wain Waleed (that translates from Arabic to ‘Where’s Waleed’) is looking to give Pikachu and friends a run for their Poke Balls. 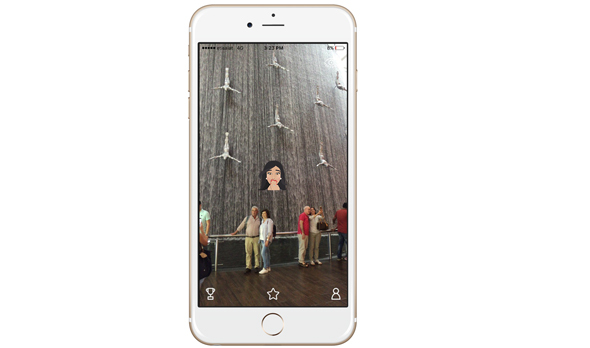 Created by the same team that brought us the Middle Eastern emoji app Halla Walla that we were raving about last month, Wain Waleed is an augmented reality scavenger hunt around the malls, souks, beaches and shisha cafes of Dubai in search of the eponymous Waleed and his friends, who feature prominently in the Halla Walla app. “’Wain Waleed’ is an extension of the Halla Walla brand, we wanted to bring life to our characters and thought why not add AR to the mix.” notes the app’s co-founder Yasmine Rasool. A character customisation engine allows you to personalise your own Khaleeji-style avatar or use designs from the Halla Walla app. A scavenger hunt you say, so are there prizes? Well, yes actually. Gamers can rack up points as they hunt across the city’s landmarks, progressing through levels that will net them prizes. Everything from a dinner for two, VIP concert tickets and even a family holiday are up for grabs, as well as bragging rights via an in-app leader board that lets you compare your score amongst friends. So what are you waiting for, hit up your local shawarma stand and get hunting.